So where do I start with this one? Ahhh I know, the X10i, let’s take all those things that were just no good, even though that’s most of the handset, and throw it out the window, lets take all the good stuff about it, and keep it. 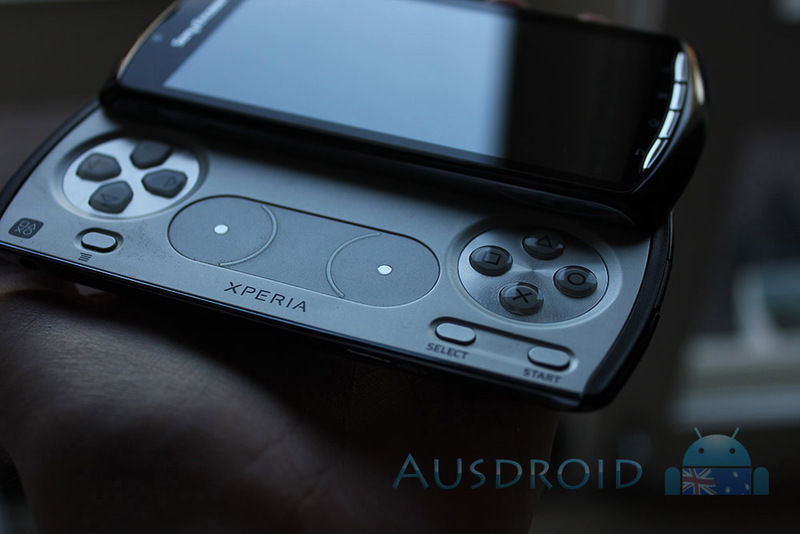 This is where we start with the Xperia Play. A beautiful device, that feels solid and runs like an absolute dream. There are some things I don’t like, and we will get them, so hit the break and let’s find out about this ambitions handset affectionately known as the “Playstation Phone”. Lets get into this baby. First things first, the overall construction of the Play is quite nice. Sony Ericsson have opted for a plastic build rather than metal, which in my opinion was a good decision, the handset is relatively heavy as it is, let alone having it made of metal. Aside from being heavy, it’s incredibly solid, well that’s my take anyway, the Play’s only let down for me on the construction side of things, is the back cover. It’s incredible cheap feeling, almost to the point that you think your going to break it getting it off. The gamepad is incredibility well done, it doesn’t slide open by itself and it does take a good bit of force to open it. The power button is flush with the chassis but is nice and easy to push and is angled towards the back, thus making it easier to locate and push. This is something I really like, especially coming from a Desire HD, where the button is on the front side of the phone and slighting recessed. The gamepad slide section of the handset is again well-built, the D-Pad and buttons have a very nice feel and clicky-ness to them, not as much as a standard Playstation controller, mainly due to them having to slide under the screen, but overall again very nice. There are also an Options button and Start and Select buttons situated on the bottom section of the slide out gamepad. The L and R triggers aren’t really buttons and are more on a rocker, they don’t feel as nice or as solid as the other buttons on the phone, this was a bit of a let down. The volume rocker switch is situated in the middle of the L and R triggers and is pretty standard, nothing to report here. The main keys, being the Back, Home, Menu and Search are again pretty standard, however having being placed in that exact order, fragmentation is king it seems. Coming from a HTC where the button are in a Home, Menu, Back, Search order, it took a little getting used to having the Back key where Home normally would sit. Another thing is that Sony Ericsson have opted for 4 keys instead of their normal 3 keys as on the X10 series, the Arc and Neo, again a strange move not to set a standard configuration within their handset line up. Also the Neo and Arc have a different order to what the older X10 range had. I mean really, can we all please stick to a uniform number and position of these buttons. Google please lay down a guideline for this, it’s getting ridiculous. Moving right along to the best part about this phone, other than a built-in gamepad of course. The screen. In one word – Gorgeous, it’s bright, it’s sharp, it’s clear and it’s an absolute dream to look at. Now the most important part for me is that the Play doesn’t seem to use the new BRAVIA Engine technology they are using in the Arc, and if this is the kind of quality we are going to see from Sony Ericsson without it, the Arc is simply going to blow my mind and yours. The screen is really really good, in direct sunlight it’s as readable you wouldn’t believe. I can read a text message on the phone in direct sunlight while wearing sunglasses. Thats a first for me, I didn’t even get that sort of usability out of the Galaxy S with Super AMOLED. The LCD also seems to sit quite close to the glass which in turn makes the readability better and the image look a damn site better also. My next favourite part is the software. Sony Ericsson have thrown Android 2.3.2 on this beautiful piece of hardware. Running atop a 1GHz processor with 512mb of RAM, this thing fly, there is no slow down or lag anyone that I saw. Playing games like Bruce Lee and Crash Bandicoot, it ran like a dream, but even in day to say operation and was just a breeze to use, everything did things when you wanted them too. Sony Ericsson have chosen to add Timescape and a cut down version of Mediascape into the phone, this time as widgets, it’s a much better way to use them but in my opinion, they are still rubbish. Timescape is still unreadable when people you follow are white in their avatar. So Timescape and Mediascape are still no goes for me. The benefit they bring by being widgets now is that they no longer have huge meathooks ripping into the Android framework which means faster updates of Android and that’s bi-winning. The Music app is very nice and works beautifully and the associated widget is also very nice and operates as expected. One thing I really enjoyed using was the Messaging app. SE have skinned it and added some nice little window transitions and animations , that are not intrusive and a very pretty and also quick. Nice subtle little hints of prettiness, I like it. A new launcher has also been added, which is again has nice little animations, they have also added a TouchWiz like App Draw, that sorts you apps in downloaded order, but it can be changed, you can sort them by Alphabetical order, most used or recently installed or you can move them around as you wish and make home screens with the apps you use the most etc etc, much like you do on the default home screens with widgets and the like. Lastly is the Quickview, which gives you a view of all your home screen on one screen, to get to it you pinch the screen as if to zoom out, much like normal and there you have it, what is different is the way it brings that together, it’s different to what I have seen before. It basically finds a way to fit them all together like a puzzle and when you tap the one that you want, it takes you to the home screen that it’s on. It’s very nice, great launcher and great implementation. The sliding gamepads would have to be one of the most ambitious feats to have ever been added to a phone. Using a D-Pad, 4 button pad, 2 triggers and 2 touch sensitive touch pads to be using as analogue sticks, the feeling is very good. The buttons are responsive as said earlier and the overall layout is great. One issue I did have, was, it felt a bit cramped when needing to use the L and R Triggers. I have largish handsets and so using the L and R triggers as well as the buttons and D-Pad, seemed to contort my hands which after extended time would feel very comfortable. However, allowing my partners 9-year-old to play Crash, she had no worries at all and could play it all day. Included games where excellent, Crash Bandicoot, Bruce Lee, FIFA, Sims 3. However not all the games used the same system or took advantage of the gamepad. FIFA seemed to not use the buttons at all and wanted me to use the screen, defeating the purpose. Crash Bandicoot, use the Menu button on the bottom left side to save and quit etc, however the Sims 3 game didn’t use it at all. Also the Start button did different things in different games. This experience needs to be uniform and maybe it will closer to launch. Overall the experience was great and fun and the more games that are added the better it will be. Let’s hit the hardware shall we? Camera, good camera hardware, good photos and video quality but the camera app is the stock Android one, this was disappointing. After seeing the Messaging app skinned beautifully and also the new Launcher, I was very disappointed to see the Camera app stock as a rock. The Xperia Arc’s camera app is completely custom and yet they decide to leave the Play’s camera as the base Android one. Not that it’s a bad thing, the app still performs very well, but I mean come one, you guys have a camera app for the Arc, just add that in. Next is the sound, and WOW! What can I say about this? It’s loud and very good, after coming from a Desire HD where the sound is somewhat questionable, this thing is a breath of fresh air. Its loud and it’s clear. I also love the included sound effects/ringtones and alerts, they are also crisp and loud and also very pleasant. The Play faired ok in Quadrant where it scored, where it scored 1351 and it did very well in NeoCore, scoring 59.8FPS. Battery life is next on the list and I must say it’s quite good. The Play would last until about 10:30pm when taken off charge at about 7:30am. Use would include 10-15 minutes of gaming, push email on 2 Gmail accounts, Twitter set to 1 minute notification refreshes, 20-30 text, 4-5 phone calls of varying lengths and about an hour of music playback. That is good battery life in my opinion. 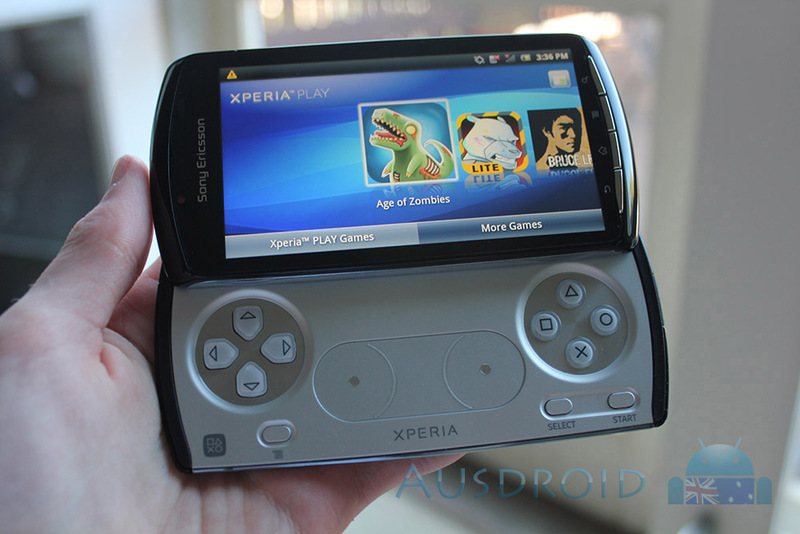 In concluding, the Xperia Play is an excellent handset from a manufacturer that is trying to change its name. Sony Ericsson haven’t been known to produce good quality handsets in the Android space. The older Xperia range lacked features and software their updates were just too slow, this basically led to not being able to stand up against its competitors. The Play and from all reports, the Arc, are starting to change this, they are good quality , excellent handsets, done in the right way. The hardware is great and the software just as good. They seemed to have learnt their lesson. In my opinion they still need to get rid of Timescape and Mediascape as they are all but pointless, maybe just make a really nice Gallery app and be done with it, but overall it’s a great experience. It’s a handset that, if I was into casual gaming, I would buy in an instant but my issue would be price. If the networks can’t get the handset on a decent plan, and I’m thinking it has to be free on a $79 Cap, it can’t be any higher, then it may not sell well till the price drops. It’s a niche market they are aiming at and they are doing the right thing by leveraging the Playstation brand, something that is strong, well-known and has loyal customers. The Play is well-built, software is great, premise is excellent and it seems to be well executed, some things could be refined but all in all, it’s an awesome all round handset. Good job Sony Ericsson, just do not drop the ball with your updates. 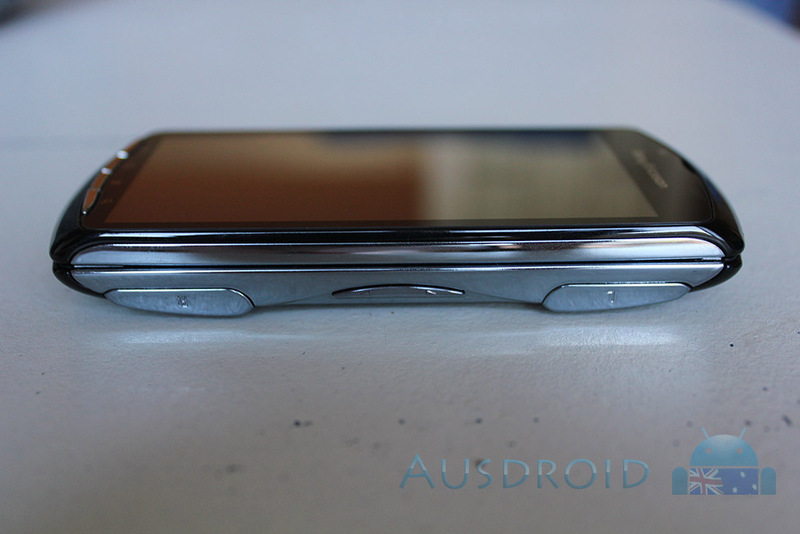 Previous HTC Incredible S coming to Australia soon – Announcement on the 12th? Does this device support multiple MS Exchange email accounts? I’m considering moving to Android from IP4 but need to have this capability. Uhh… The whole article is riddled with grammatical errors… I don’t mind.. But there are certainly plenty of them.. I certainly hope your review is closer to the truth than engadgets.. 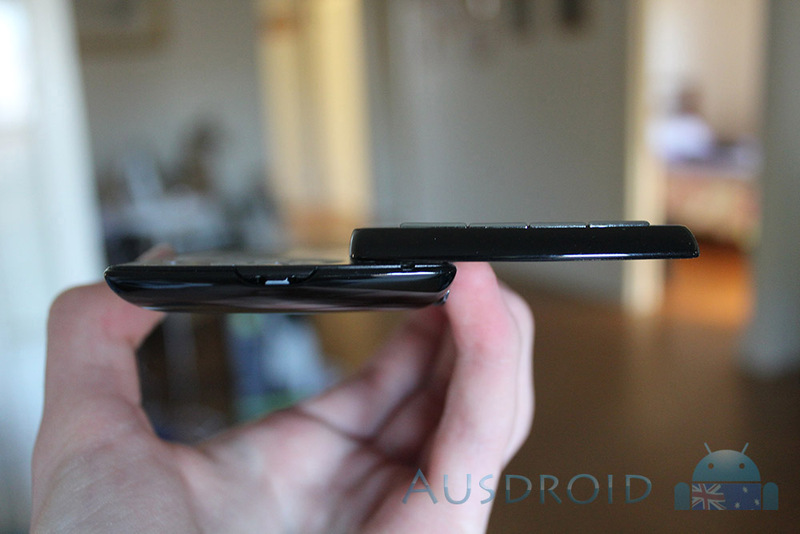 Especially regarding the screen..
Hey, u mentioned that the PlayStation Pocket didn’t work….. 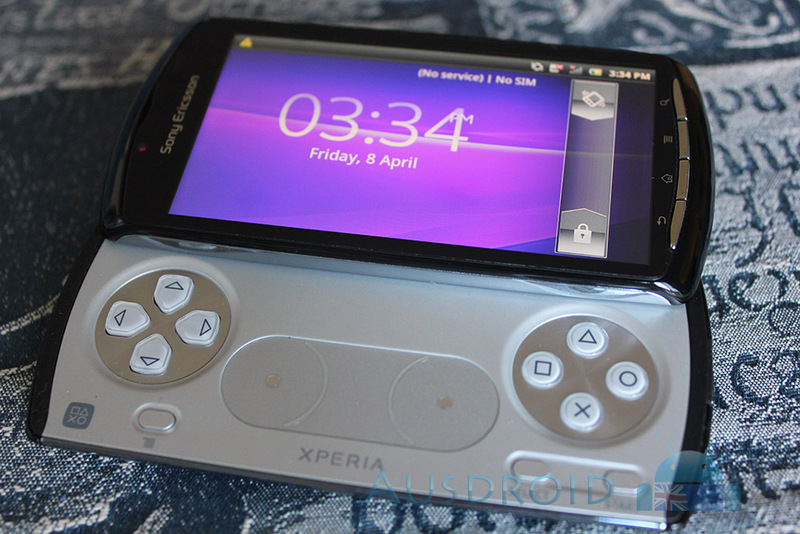 This is because the Xperia Play hasn’t launched here yet. Looking forward to playing some Metal Slug Mame and Wo2097 psx when it hits local retailers. The email is actually pushed to your phone. Your phone doesn’t check for email. Your phone registers with Google which is like saying ‘If there’s any email send it to me and BTW this is my address so you can find me’. When some mail comes Google just sends it straight to your device. The notification sounds and you check your phone. I see, that’s pretty impressive. Many thanks. That’s a brilliant help. Does this ‘push email’ require anything special to be activated on the providers end? Do you need to be on any sort of particular plan or have anything activated to get push e-mail? Or, could you for example, buy the phone outright and put in any prepaid sim and still have that ‘push email’ functionality? The way you’ve described it.. it seems astounding. I’m interested to read up more on how it works. Good for gamers review, Lucas. Now where’s the real Android phone review for how the PLAY copes with normal day to day duties? Thanks Jeniskunk, considering im not a huge casual gamer, i did mainly use it as my day-to-day phone, and for that it worked great. I can’t stress enough that the Play and the Arc, while two different handsets, marketed for two different segments, are awesome day-to-day phone, just awesome. It’s how the phones go in testing them under normal day-to-day usage that interests me most in the reviews. Really lovely review, I like that you didn’t criticize the phone simply for it’s manufacturer like I have seen in a few other recent reviews of this phone. Personally I think this phone is sort of a niche market product and I would never be interested in it myself but from this review I can see that it a great beginning to android gaming phones. Unfortunately this was something I wasn’t able to do at the time of writing the review. However, finger crossed Buzz can do this with the Arc as the skins are virtual the same. I now have a nice setup for this kind of thing and all future reviews will contain a UI walkthrough. 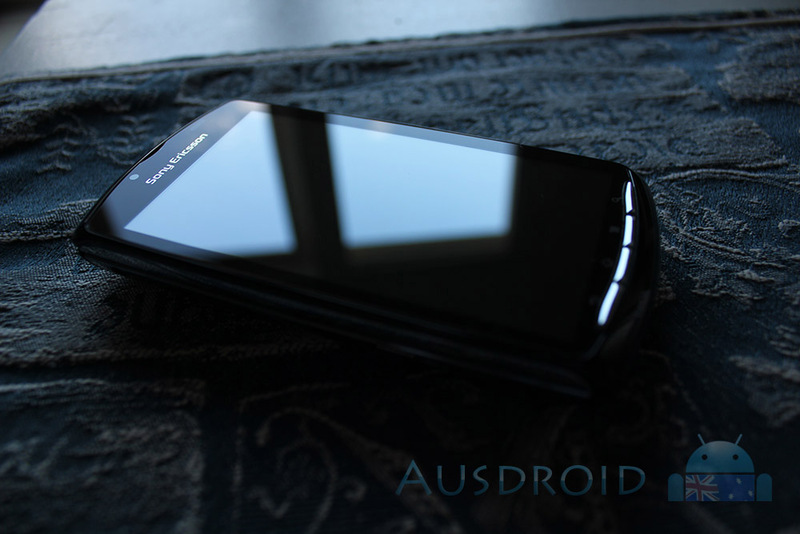 You really seem to like the phone Buzz as you gave it a very comprehensive review – lol! Great review of the phone. Stop the presses! Amazon Prime Video is coming to Chromecast and Android TV · 25 mins ago. Stop the presses! Amazon Prime Video is coming to Chromecast and Android TV · 29 mins ago.